Are you looking for professional siding contractor in Wheaton IL? Siding & Windows Group is a siding contractor you can trust. We are a contractor that has a proven track record and we offer the quality of siding Wheaton residents are looking for. The photograph above is the ‘After’ picture of a siding replacement job we completed in Wheaton IL. The existing siding was removed and replaced with durable fiber cement lap siding from James Hardie. Click here to browse this and other siding jobs we’ve completed. 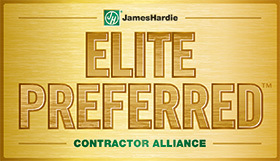 Siding & Windows Group is proud to be an Elite Siding Contractor for James Hardie Siding in the Wheaton area. By being an Elite Contractor, your siding is guaranteed to last you for generations to come. James Hardie Siding is the perfect fit for every home, new or old because of its wood-like qualities without the wood cost. James Hardie siding products uniquely combine the warmth and character of wood with the outstanding durability and low maintenance of fiber-cement. Feel the ease of James Hardie Siding with up to 30-year limited transferable product warranty against chipping, rotting, cracking, and delaminating. Mastic: As a vinyl company that has been in business for over 70 years, Mastic siding is a product that performs with low maintenance, workmanship and gives you a peace of mind about your home knowing it is safe. Siding & Windows Group is Wheaton’s premier siding contractor and we’re recognized as a leader in the siding industry for originality, innovation, and architectural integrity for exterior design and siding. Homeowners praise our siding work, and enjoy the amazing results of a beautiful home, a lifetime siding warranty, and our ten-year labor warranty.Siding your home is one of the most biggest investments you can make to it. That’s why it’s so important to get all of the facts about the different siding options in order to make the right choice about siding for your Wheaton home. In our experiences nothing beats the durability, charm and sturdiness of James Hardie siding. 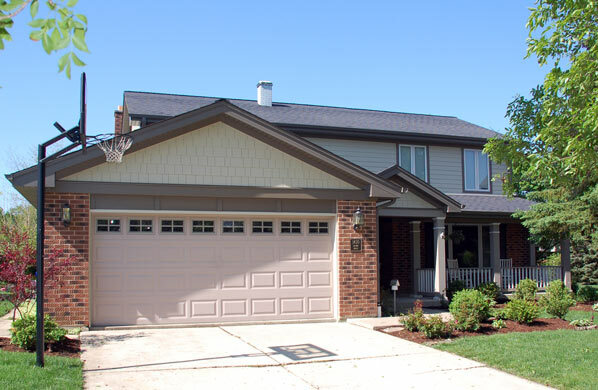 This fiber cement siding the ideal material for enhancing and protecting homes in the Wheaton area. Siding & Windows Group is a siding contractor that’s committed to the Wheaton community, by providing only the highest quality products, with the best customer service and professional installation. Learn more about Siding & Windows Group. Click here to receive a free estimate from Siding & Widows Group for your siding project in Wheaton. Many homeowners have trusted Siding & Windows Group to be their siding contractor in Wheaton.